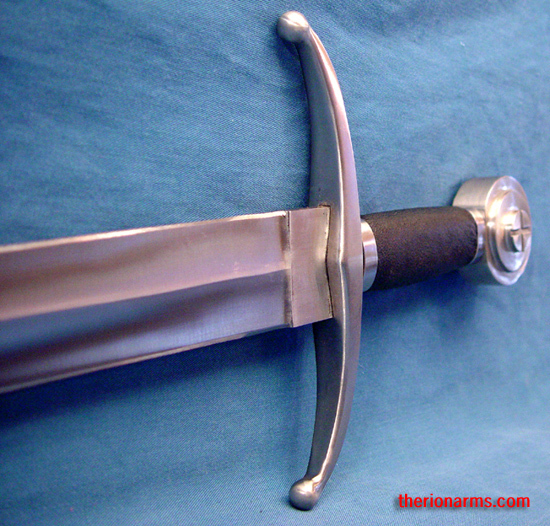 The Henry V arming sword is modeled after the sword hung over the tomb of one of England's great warrior kings. 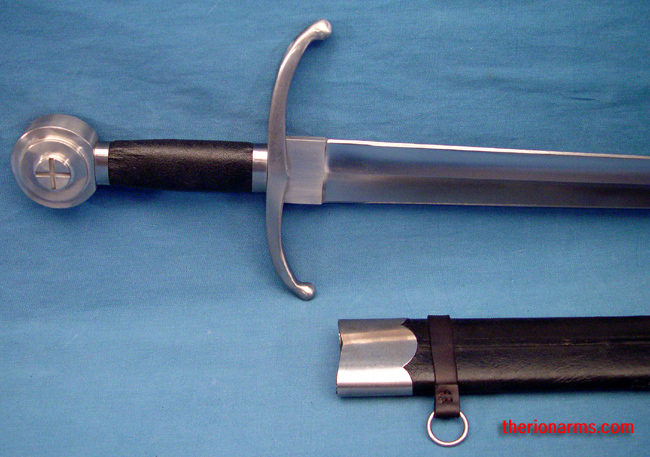 The single-handled cut-and-thrust weapon combines a relatively short but sturdy high carbon steel blade with elegant down-swept quillons and a wheel pommel. This sword is very fast and well-balanced, it just flows in the hand. 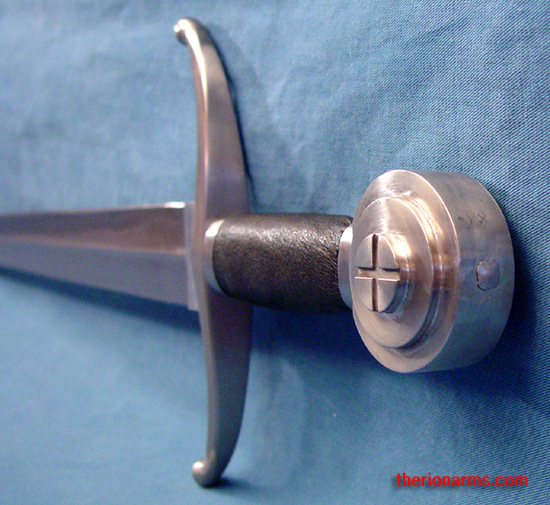 The blade tapers from wide at the hilt to narrow at the tip - perfect for thrusts into the gaps of gothic armor. 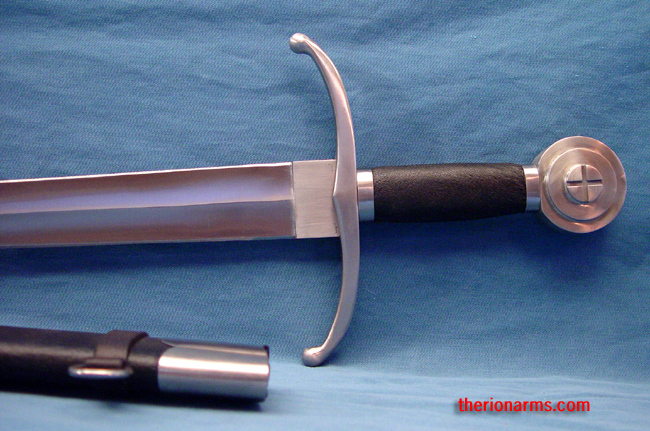 This is one of my very favorite short arming swords. 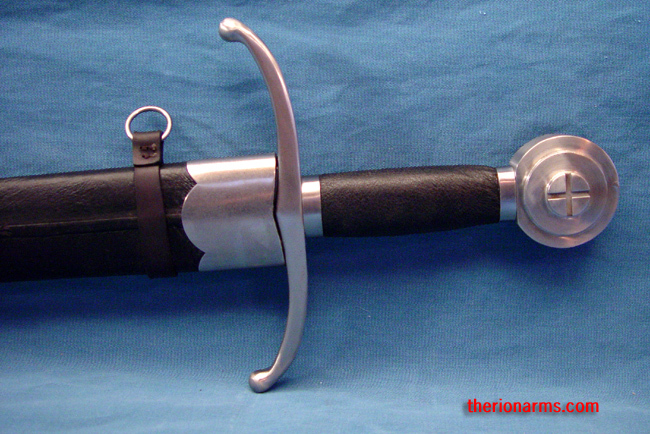 Leather covered wood scabbard included. War without fire is like sausage without mustard. -- Henry V, in his own words. grip & pommel: 6 1/2"